This is one of those situations where a book which is otherwise fine just doesn't work for my particular family, and for a very specific reason. Though Angry Cookie does provide kids with a healthy example for how to deal with their anger, it unfortunately includes a scene where Cookie tells his friend Barbara he hates her recorder. My five-year-old is learning to play recorder as part of her homeschool music curriculum, and getting her to practice can be challenging. To have her read about a character shouting that he hates the recorder, even when he is later shown that there are more productive ways to handle his feelings, is not likely to have a positive impact on that situation. If it were any other instrument, I think we'd be fine, but books have such an impression on this kid that I don't think it's worth stirring the pot. But if you need a funny book to address big feelings with a preschooler, this book is not a bad place to start. I think it would also be a fun read-aloud for a Pre-K or Kindergarten class; I would probably have taken it on school visits if I were still working in a library. 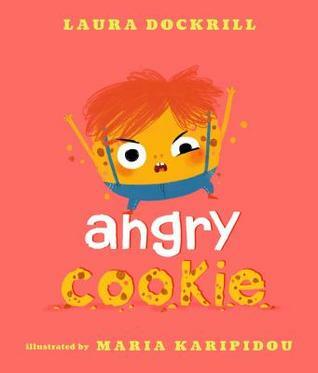 Sign into Goodreads to see if any of your friends have read Angry Cookie.